The sun is shining and the weather has been more than sweet here in Florida. It isn’t often that we get to enjoy a season of pure sunshine without unwelcome rain but lately it’s been gorgeous outside. If there is one thing I love about spring it’s the blooming flowers that the April showers bring. Bright, colorful, and the inspiration for today’s little project. These colorful egg carton flowers will help you bring the beauty of springtime indoors. 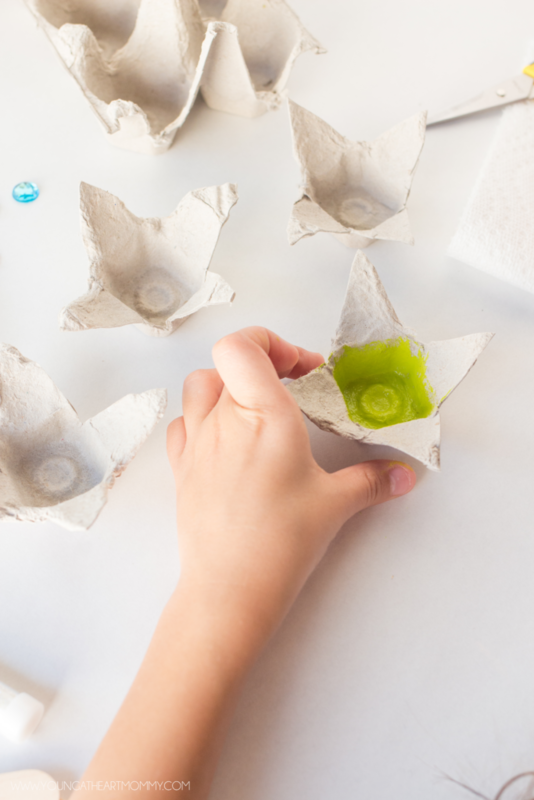 Use scissors to cut out the single egg containers from the carton. Trim edges further and make necessary cuts to make the petals look more open. 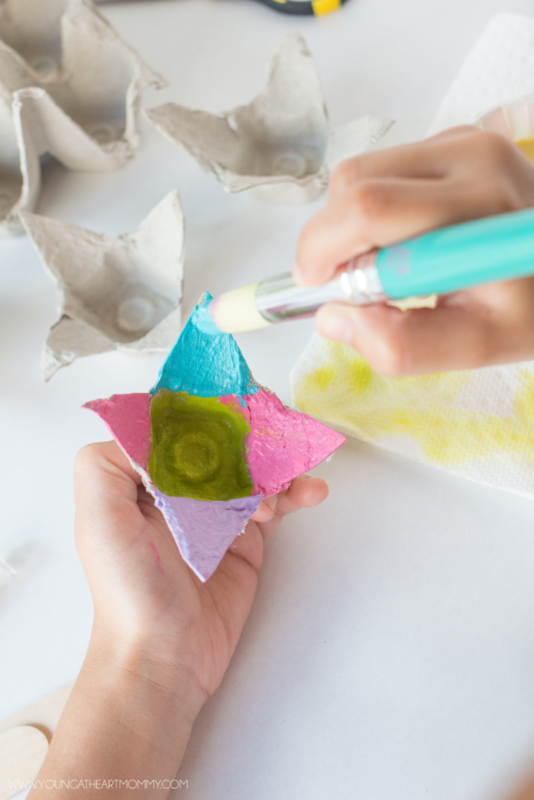 Decorate flowers with various colors of acrylic paint, making sure to cover every crevice of the pulp paper. 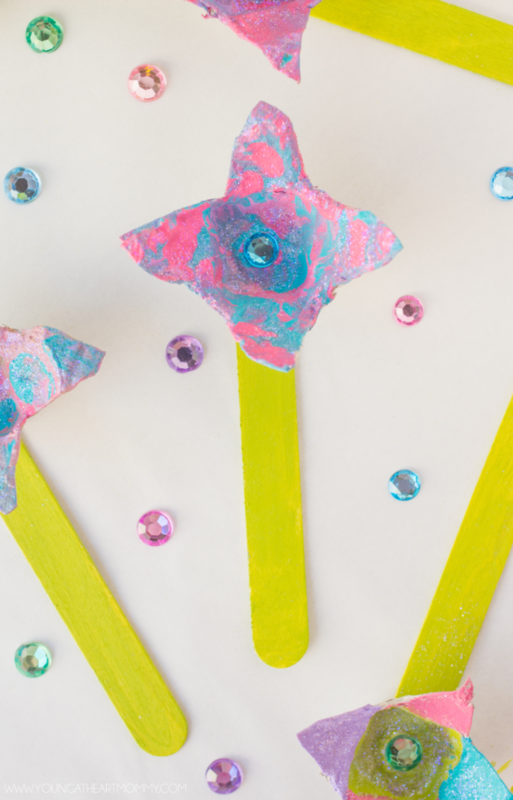 While the paint is wet, add a sprinkle of iridescent glitter for a touch of sparkle. 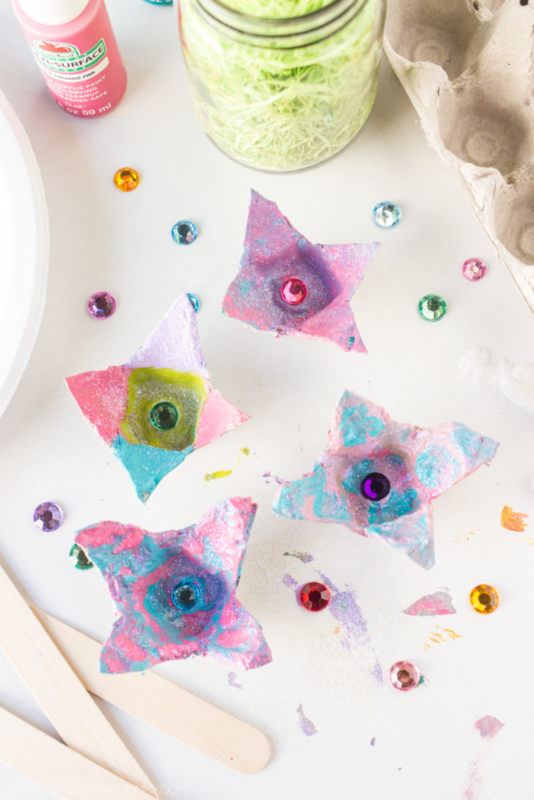 Finish the flowers off by adding a rhinestone or sequin in the center. 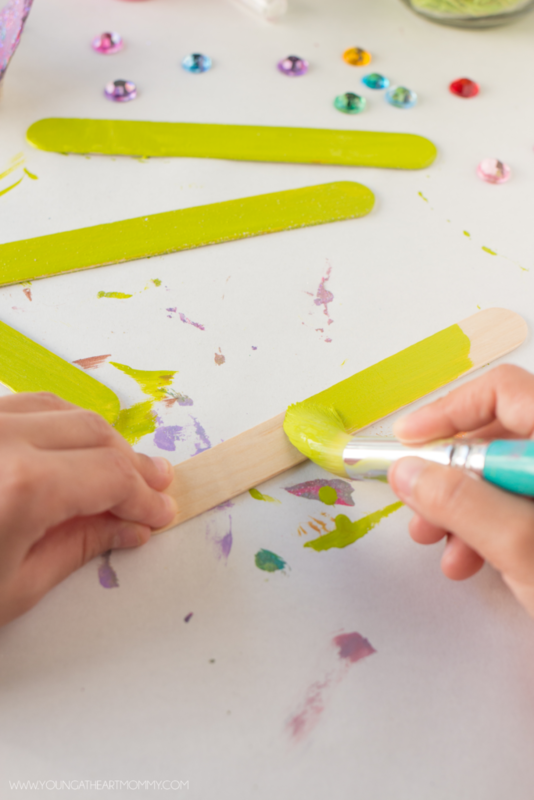 Paint popsicle sticks green or use a brown marker to create the stems. 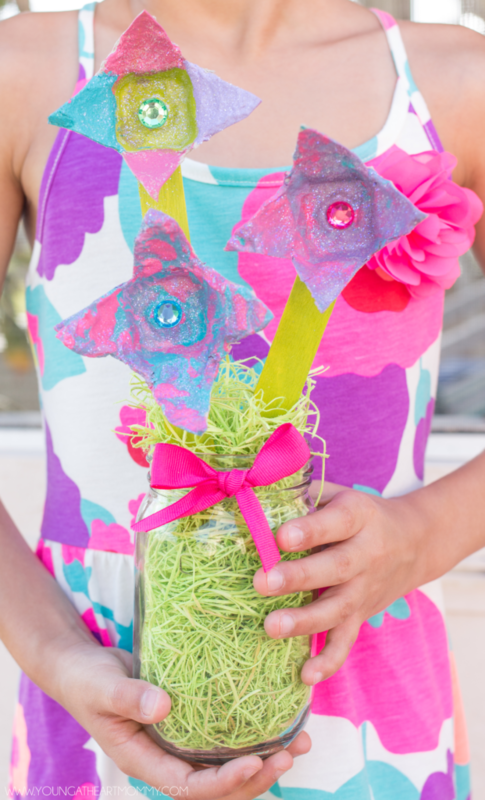 Use a glue gun to attach the flowers to the popsicle sticks. Fill mason jars with decorative grass. 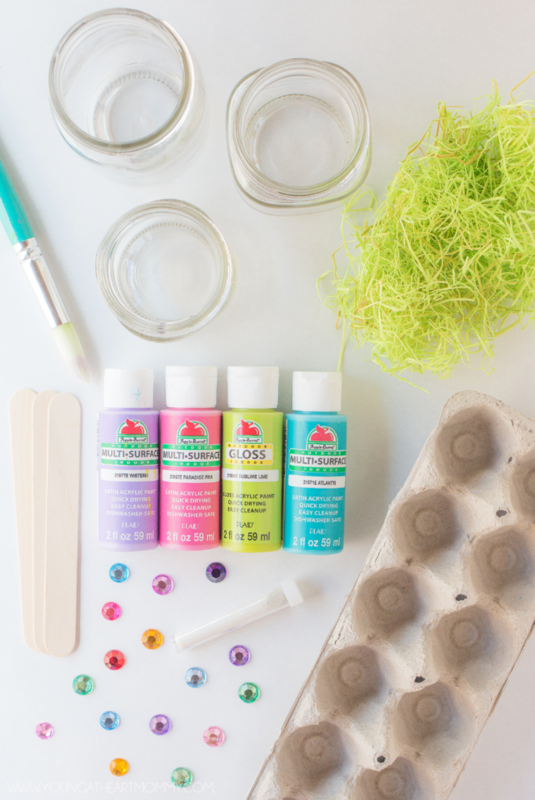 Push popsicle sticks into filling until they are raised at different levels or to your liking. 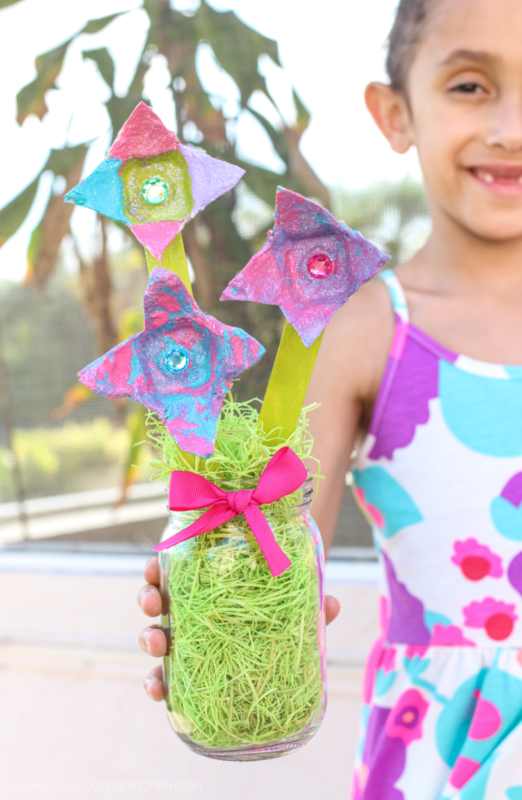 Have you ever reused items or up-cycled to create fun crafts? How adorable are these? It always seems to me that egg cartons could have so many uses! I've glued a few together to make a stand for my laptop - ot keeps it from overheating cause the air circulates well. But this is so cute for my granddaughters! 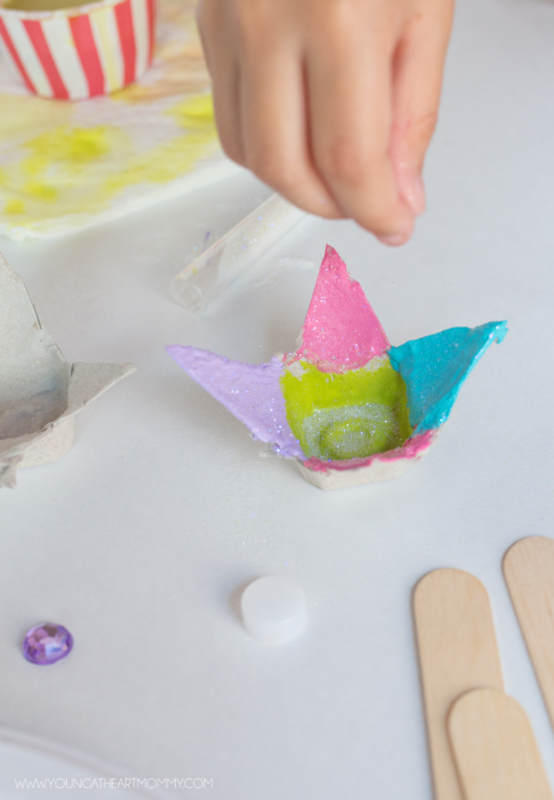 This looks like fun and a great use of recycled materials.